Community to Community continues to lie about Sumas farm worker's death - PROTECT FARMWORKERS NOW! Judge cuts sumas farm fine in half. Activists respond with more lies. 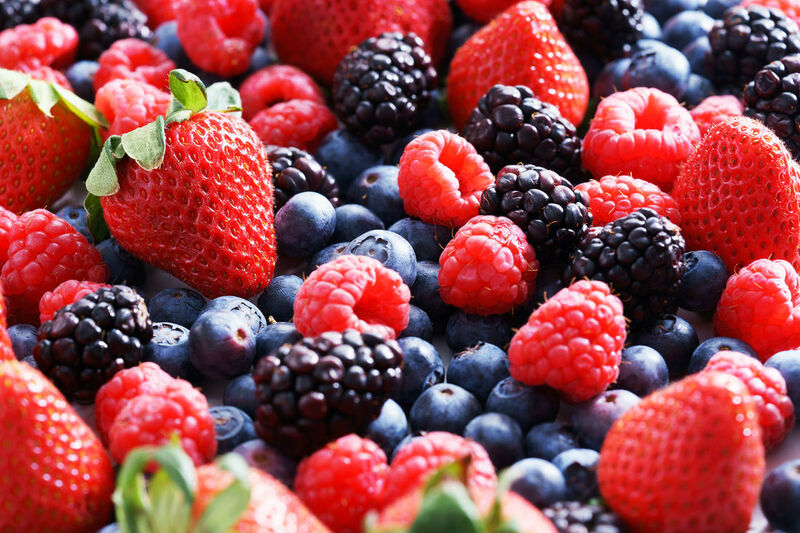 Love berries? The future of berry farming in Whatcom and Skagit counties is dimming. Rapid rise of imports from Mexico, Serbia and other countries is primary reason. Our farmers can't compete with countries that don't have serious food safety and worker protections and who pay $11 per DAY minimum wage, vs. the $20 to $25 per hour in labor costs our farmers pay. Capital Press reports that the record fine the Department of Labor & Industries imposed on the Sumas farm was cut in half by a Whatcom County judge. The fine was for missed or late rest or meal breaks and had nothing to do with the death of the worker. However, the record level of the fine had everything to do with it as the Department's records showed that publicity generated by union activists blaming the farm for the worker's death prompted the fine to go from an expected $4600 to $149,000. The judge cut it in half leaving the farm paying $70,000 in fines and courts costs – likely still a record amount and way beyond what would be expected for such violations. But the union activists led by Rosalinda Guillen of Community to Community continue to lie about the farm and its treatment of guest workers. Despite complete exoneration of the farm by the Department of Labor & Industries, they continue to insist the farm was responsible for the death of the worker. They continue to misrepresent worker conditions and the numerous rules and regulations farmers comply with to protect workers. We ask: what other business would be subject to such penalties for missed rest break? Guillen was quoted as saying in this news report: "For us it's immoral, the fact that the life of a farm worker has been negotiated down to $35,000. And the reason they bring in these H2-A workers is because they are exploitable," she said. "It's like slavery. It's like the value of a worker is actually being calculated. It's disgusting." What is disgusting and immoral is how, in the face of the indisputable facts about the man's tragic death, this activist continues to pursue her agenda of taking union dues from these workers and attempting to destroy the reputation not just of this farm but of all farms in the area. What is even more disgusting to farmers is those people, groups, companies and churches who choose to believe these lies and support the actions that are so harmful to the workers they say they are trying to help. We challenge them: talk to the workers. Get the facts. Learn that the option for these workers is to go to work in Mexican farm fields where the pay is twenty to thirty times less than what they receive here and where the worker protections are far, far less than what they receive on local farms. We encourage everyone in the community who cares about the truth to challenge those who support this damaging, dishonest and immoral activism. Rosalinda Guillen, director of Community to Community, continues to claim the farm caused the tragic death of the worker despite indisputable evidence that this is false. Her campaign to halt guest worker jobs flies in the face of what even the protesting workers say: they want these jobs! In response to your inquiry, the Washington State Department of Labor & Industries undertook several thorough and extensive investigations at Sarbanand Farms, LLC, in connection with Honesto Silva Ibarra’s death last summer. The agency praised the company for its cooperation and found no workplace safety or health violations. It further concurred with the King County Medical Examiner’s Office that the worker’s death was the result of natural causes, and not related to any occupational issues. All of this was confirmed by the L&I release of Feb 1, excerpts of which are set forth below. “L&I also conducted a simultaneous investigation into safety at the workplace, in connection with Silva Ibarra’s death. The agency understands the concerns when an unexpected death occurs, and strives to find out if it’s work-related. natural causes, and not related to occupational issues. L&I shared information and discussed the case with the medical examiner. “Agency investigators interviewed members of Silva Ibarra’s work crew, a family member who was with him the day he fell ill, roommates, his wife (by telephone), and work supervisors, among others. Rosalinda Guillen is fighting against the expressed desires of the very workers she says she is trying to help. And continuing to promote outrageous lies against the Sumas farm whose hiring of over 600 guest workers drew her union activism. denied medical treatment while working under the smoky conditions of wildfires at Sarabanand Farms as an H2A guestworker in Sumas WA. We refer you to the message from the farm owner in reply to this vicious lie. Either the Department of Labor & Industries along with the King County Medical Examiner's Office are lying, or Rosalinda is lying. The farm management was fully exonerated in a detailed investigation. Additional proof comes from the Columbia Legal Services lawsuit against the farm which is focused on a comment made by a California employee, and does not include any mention of the farm's role in the worker's tragic death. Can anyone imagine Boeing or Starbucks fined $150,000 because of one missed rest break or one late meal? -Espero que todo salga bien, sobre todo, justicia para ese hombre que falleció y que su familia reciba apoyo, y también justicia para todos nosotros aquí sin poder, así que podemos tener la oportunidad de trabajar en otro lugar, tal vez no aquí, sino Algún lugar más. This is in opposition to the express desires of the 18,000 guest workers in Washington state in 2017 AND even the small group of workers she induced to protest. Want proof? -I hope everything gets worked out, most of all, justice for that man that passed away and that his family gets support, and also justice for all of us here with no so we can have the opportunity to work elsewhere, maybe not here but someplace else. Here is one of Guillen's protesters, reflecting the misinformation he and fellow protesters were provided, but making clear he wants to come back from Mexico and work. The very thing Franks and Guillen are trying to prevent from happening. Want to help farm workers get the justice and support they need? Those who support the vicious lies of Community to Community are harming the very workers they say they are trying to help. Guest workers and domestic farm workers are protected by likely the most stringent labor laws in the nation. They are not mistreated, but eager for the jobs their families so desperately need. The 18,000 guest workers hired in Washington state returned over $288 million to their families in 2017. Only about 60 stopped working and protested, hurting their families and possibly permanently damaging their prospects for future work – all because they believed the lies they were told. If you care about what is right for these workers, tell Ms. Guillen to stop lying and start working for the real interests of these workers which is to keep their jobs.